One of the biggest problems I find that face people that want to become artists is symmetry. I spend a lot of time looking at other peoples art, evaluating it, discussing why one piece works while another one doesn't. And most often a bad piece of art is deemed bad not because the colors are off or the composition is unclear, but because it is no symmetric. There is a natural flow to a perfect piece of art. Lets look at the classic Mona Lisa. There is an old artists rule that says that we view the world in a clockwise pattern. If you look at our dear Mona and start at the 12pm position and work your eye around her in clockwise motion you see that she is a perfection of clockwise motion. Your eye sweeps naturally around her form to end up back at her head. Now look at her in the same way but when the composition is reversed. Now repeat the exercise again sweeping clockwise from the top of her head around the painting and back to her head. Doesn't work does it? The eye gets stopped. You bump into her arm rather than sweep past it. You slap into the side of her head rather than smoothly glide to a rest at the top. Leonardo understood symmetry. It played out in all that he did. Every great artist either used symmetry to his/her advantage or they used the lack of symmetry to make the eye stop and boldly stare. 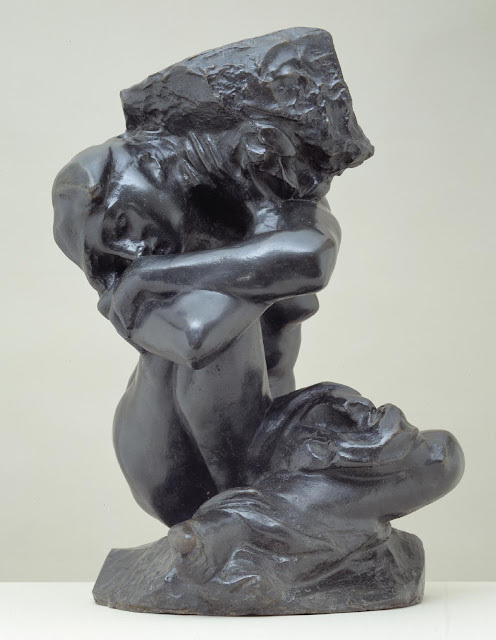 Lets look at Rodin's famous sculpture The Fallen Caryatid Carrying Her Stone. Do you see her perfect symmetry? Start at the top and move clockwise. 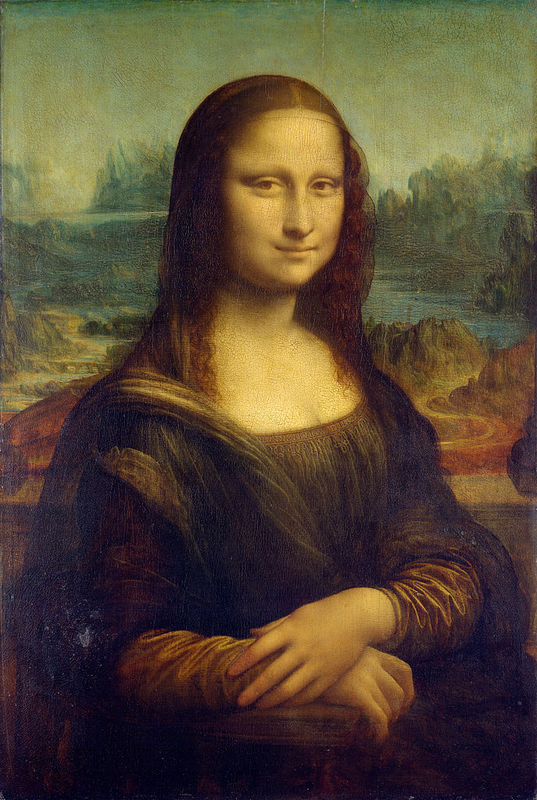 Note that the her knee (at the 4pm position) is nearly in the same position as Mona Lisa's elbow. 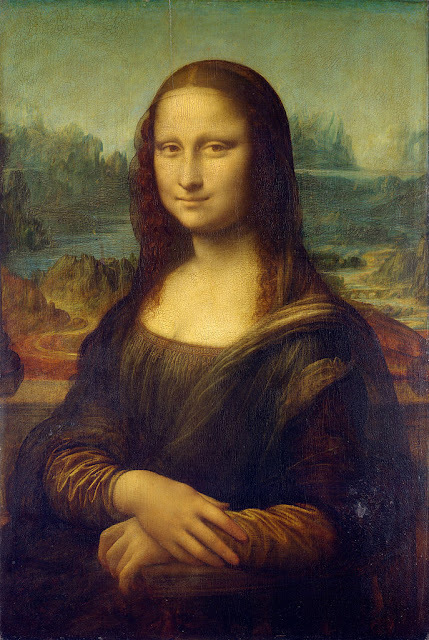 Note that her head (at the 10Pm position) is almost exactly in the same position as Mona Lisa's shoulder is. There is an elegance to each piece that makes it what it is because of its symmetry. Now there are exceptions to this rule. Look at Picasso's famous Guernica. Picasso knew how to make the eye stop. Its almost an assault to the senses. There is no clockwise pattern here, but there is a symmetry. Move the eye from the top to the bottom, taking in the whole piece and you realize that there is a smooth transition here. Picasso has total control of symmetry and the lack thereof. Now unfortunately I cannot show you examples of bad symmetry because to be honest I'd be concerned about being sued if the artists I used as examples ever saw this article. So, take a few minutes and go to craigslist.com and look at the Arts & Crafts section and just spend some time look at the various pieces of art people put up for sale. But look at them with an eye towards the symmetry for each piece. Craigslist is replete with examples of nightmares of symmetry. Sadly many could have been very good pieces of art if the artist had only considered symmetry in the planning of their peace. There are many terms to describe what symmetry is all about. But I find most of them confusing and you really come away scratching your head. But for those of you interested here is a link to a bit more of a technical understanding of the issue if you care to check it out. It is a fact though that whatever you call it, or however sophisticated your knowledge, it always comes back to looking at the symmetry of your art and making a judgement call on whether the eye moves smoothly across it or not. If your in doubt, take a photo of the art and look at it that way. Often seeing your art through the lens of camera will bring a unique insight to the strengths and weaknesses of your work. If in doubt, ask a friend to honestly tell you if the piece pleases the eye. If they pause and say "umm" a lot, its a pretty good guess there might be something wrong. And that something is most often symmetry.